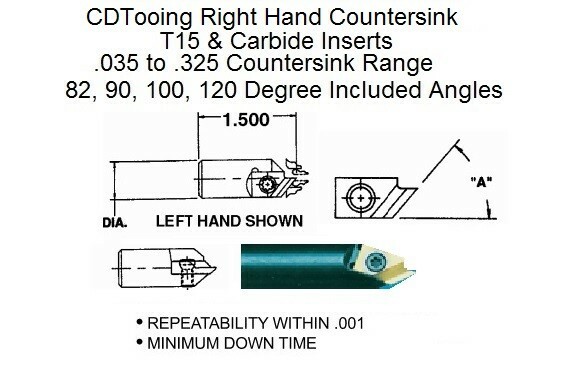 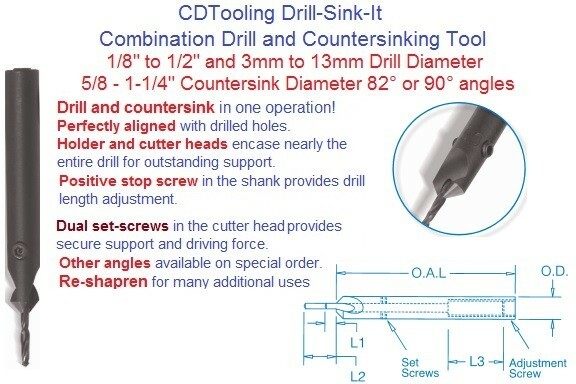 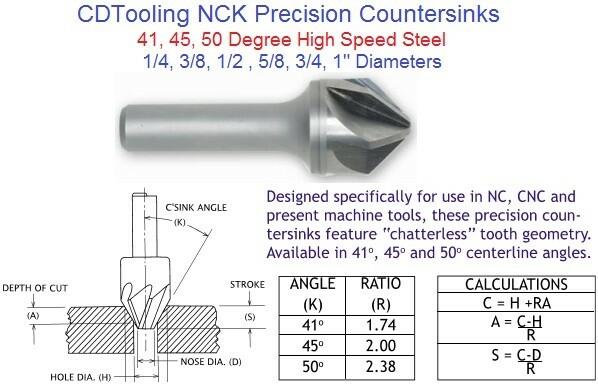 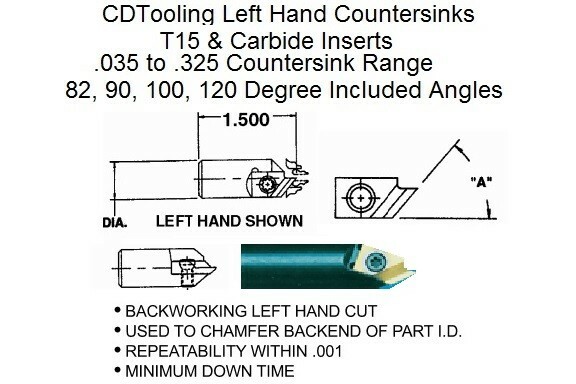 The basic geometry of a countersink (cutter) inherently can be applied to the plunging applications described above (axial feed only) and also to other milling applications (sideways traversal). 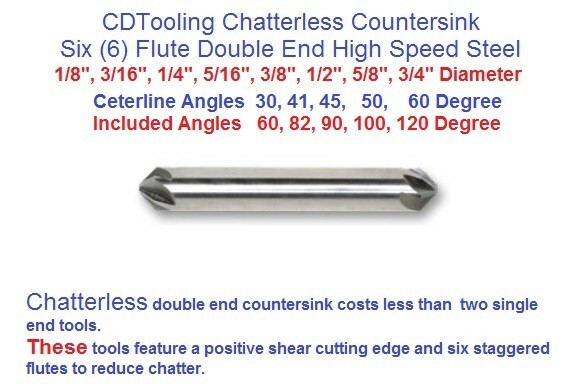 Therefore countersinks overlap in form, function, and sometimes name with chamfering endmills (endmills with angled tips). 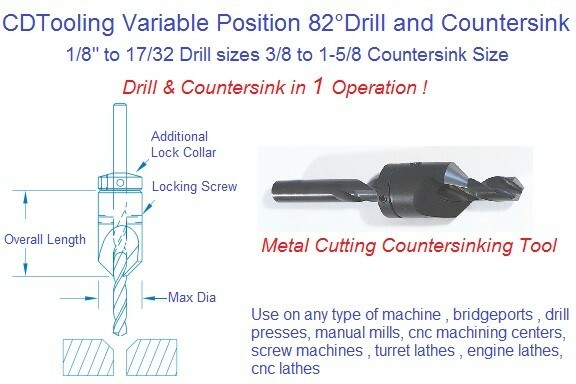 Regardless of the name given to the cutter, the surface being generated may be a conical chamfer (plunging applications) or a beveled corner for the intersection of two planes (traversing applications). 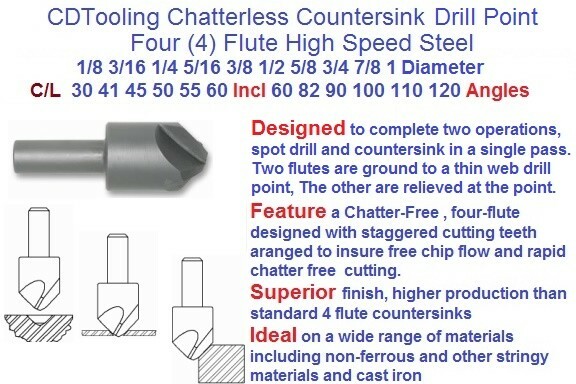 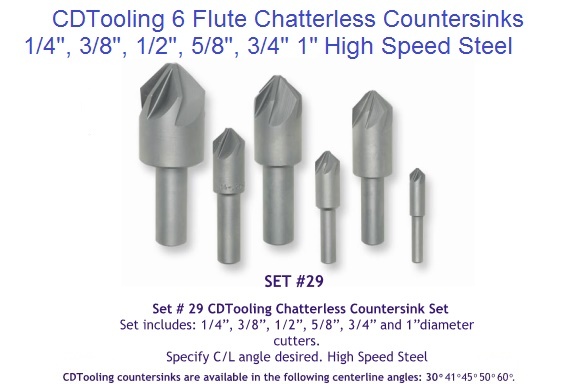 Countersink 6 Flute 30 41 45 50 60 Degree Center line Angle 60 82 90 100 120 degree Included Angle High Speed.Steel 1/8-3 Inch Diameter. 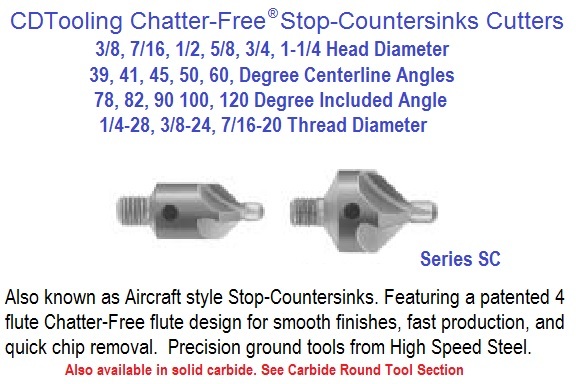 Also known as Aircraft style Stop-Countersinks. 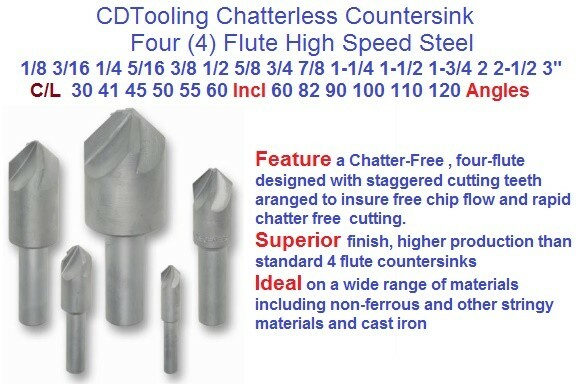 These tools feature our patented 4 flute Chatter-Free flute design for smooth finishes, fast production, and quick chip removal. 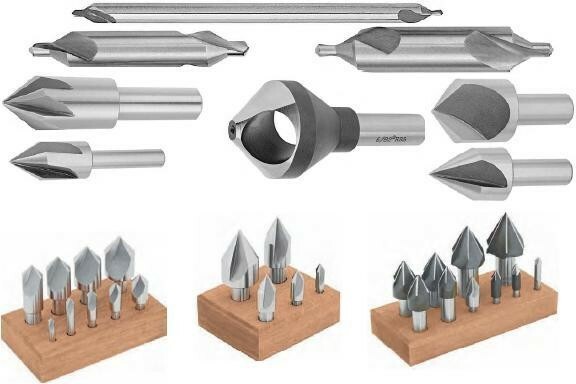 These precision ground tools are made from High Speed Steel or Carbide and may be factory resharpened many times for long useful tool life. 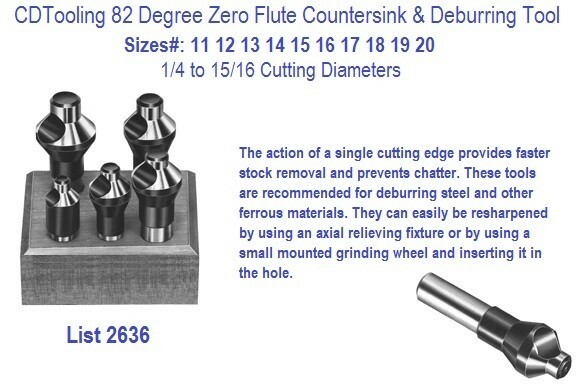 Also available with special pilot sizes, angles, forms, and no pilots upon request. 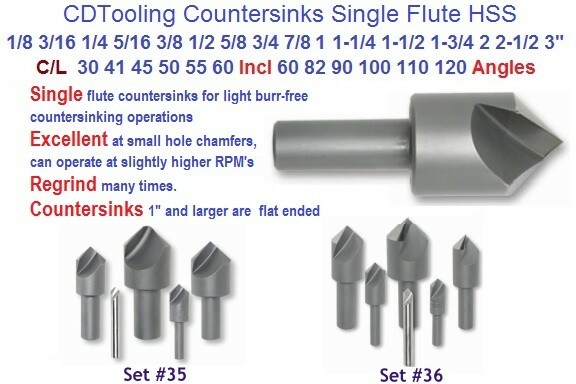 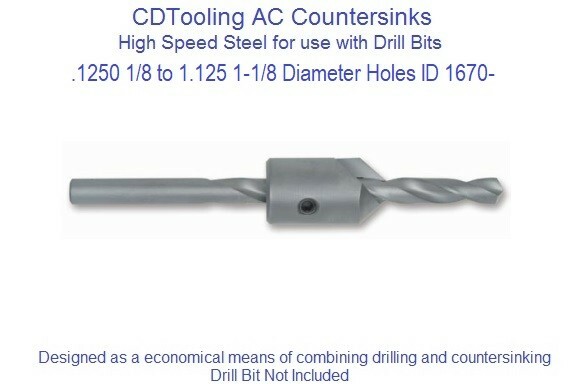 A countersink may be used in many tools, such as drills, drill presses, milling machines, and lathes.